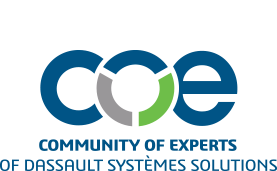 COExperience is right around the corner, and if you’re already registered, you’re probably starting to finalize your schedule when it comes to educational sessions at the event. If you’re not yet registered, you won’t want to miss out, so make sure you register today and start planning. Either way, one session you won’t want to miss is “Women in Manufacturing: The Workforce of the Future” in partnership with Women in Manufacturing (WiM) on Wednesday, February 27 at 1:15 p.m.
There’s no doubt there are numerous trends poised to impact the manufacturing industry and provide tremendous opportunity in the years to come. COE spoke with Allison Grealis, President of Women in Manufacturing (WiM) to preview her session and learn a little bit more about what WiM is all about. COE: Can you give a brief overview of what WiM is all about? Allison: The Women in Manufacturing® Association (WiM) is the only national trade association dedicated to supporting, promoting and inspiring women who have chosen a career in the manufacturing industry. WiM is committed to empowering women workers through a holistic approach including regularly scheduled opportunities for skills development, leadership training and network building. Our members include manufacturing companies of all types and individuals from every job function — from production to the C-Suite. COE: Why is WiM important to the industry now more than ever before? Allison: The U.S. manufacturing sector is at an inflection point with several factors coming together to create new opportunities for women workers. First, as we all know, the industry is battling a serious skills shortage. There are hundreds of thousands of open positions, but employers are struggling to find hires with the right skills. It’s obvious that employers need to consider a broader talent pool in order to fill these jobs. At the same time, technological advancements from automation to augmented reality mean that the manufacturing jobs of today bear little resemblance to manufacturing jobs in generations past. WiM’s role is to work at the intersection of innovation and change in manufacturing. We work with all sides, helping manufacturers develop strategies for recruiting and retaining women, and helping women workers by providing opportunities for growth and advancement. 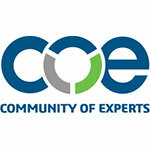 COE: Can you share anything about your session at COExperience 2019? Allison: I’m thrilled to be speaking at COExperience 2019. I’ll be covering several tech trends in manufacturing that are reshaping the industry landscape and opening opportunities for non-traditional manufacturing workers, especially women. COE: With students making up part of the attendance at this year’s COExperience, what advice would you give to young women looking to kick off their careers in the manufacturing industry? My advice is simple — be bold in committing to your manufacturing career! Manufacturing is a great industry for women. In fact, the vast majority of WiM members report that, if given the opportunity to restart their careers, they would again choose manufacturing. Manufacturing offers high salaries and tremendous opportunities for challenge and growth. COE: What do you see for the future of women in manufacturing? Allison: The future is bright for women in the manufacturing. Over the last 10 years, the number of women in the U.S. manufacturing workforce has hovered around 27 – 29 percent. The most recent data from 2017 shows women comprising 29.5 percent of the manufacturing workforce. At WiM, our expectation is that this number will continue to rise. As technology reshapes the manufacturing workplace, it will also impact the manufacturing workforce, with more women taking jobs from the shop floor to the C-Suite. And, of course, we’ll be there to help both companies and women workers at every turn along the way. COE: Any new initiatives WiM is working on in 2019? Allison: 2019 will be a very exciting year for WiM! We are building on our existing suite of outstanding virtual and in-person programming to reach new audiences. For example, new this year will be our PEAK events. Supplementing our annual SUMMIT — scheduled for September 9 - 11 in Denver — the newly created regional PEAKs will offer attendees great content, closer to home. The PEAK events will feature impactful insights from keynote speakers, exclusive tours of local leading manufacturing plants, breakout sessions focused on cutting-edge technical know-how and unique networking opportunities. More information about these and all other WiM programming and events is available on our website. Plan to hear more from Allison on February 27 and register for COExperience today.